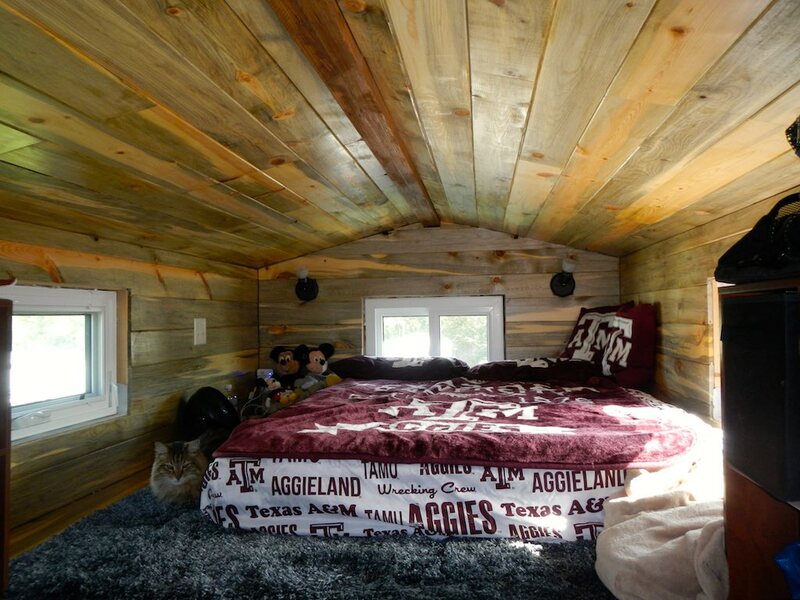 I live in my tiny house currently in College Station, Tx. I am a student at Texas A&M and I built this one so that I have mobility, and to save money. It took me a good 9 months to build it. I did a blog while building it. 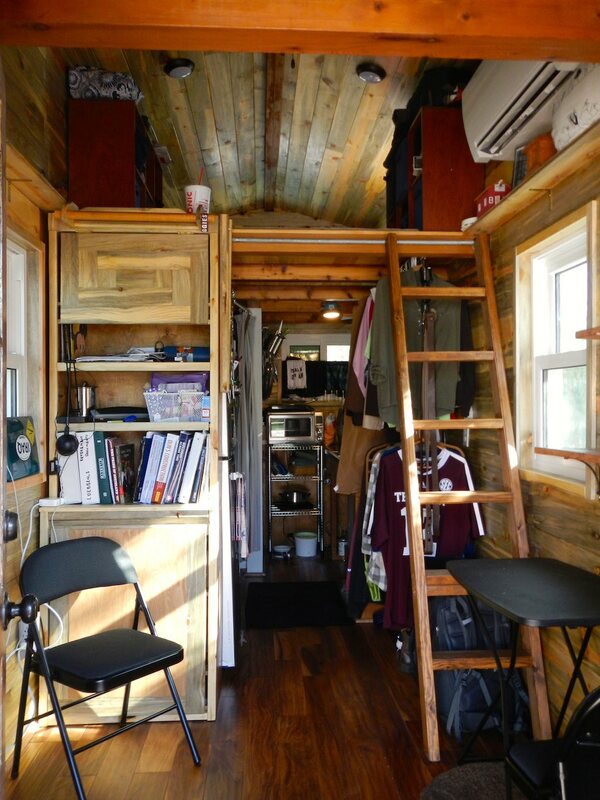 Stephani’s tiny house on wheels built to save money while in college in College Station, Texas. More info. here. Nice work. Good luck ahead and thank you for your service! Fantastic! I would have loved to have something like this while I was in college! Good luck in your studies – look like you have a great place to do your assignments! Lovely work…most of all I love that it is lived in! 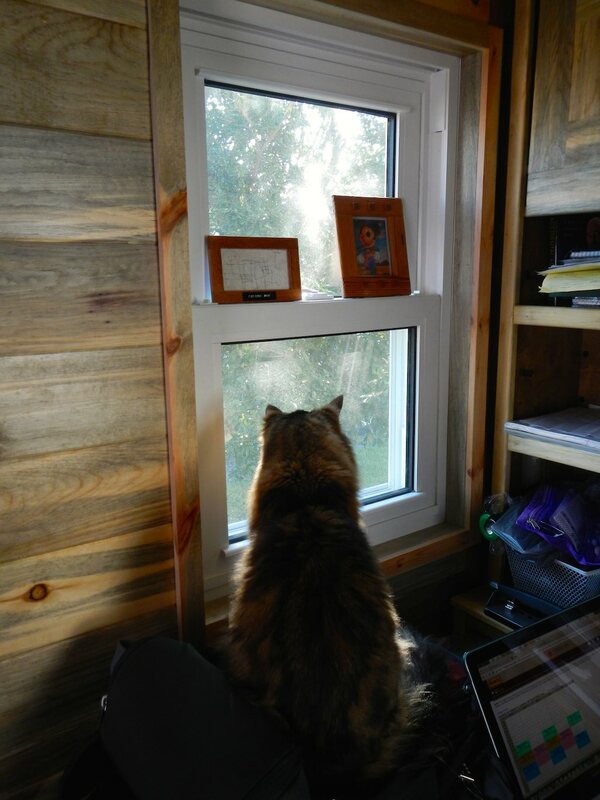 So many of the pictures we see are “sterile” tiny houses…no stuff, no clutter. I love that you shared pictures of your “life!” Thank you for your service! Looks amazing and so inspiring! My husband and I are about to transition to the civilian life after serving our time in the military are would love to move to College Station for school, however we have never been to the area. 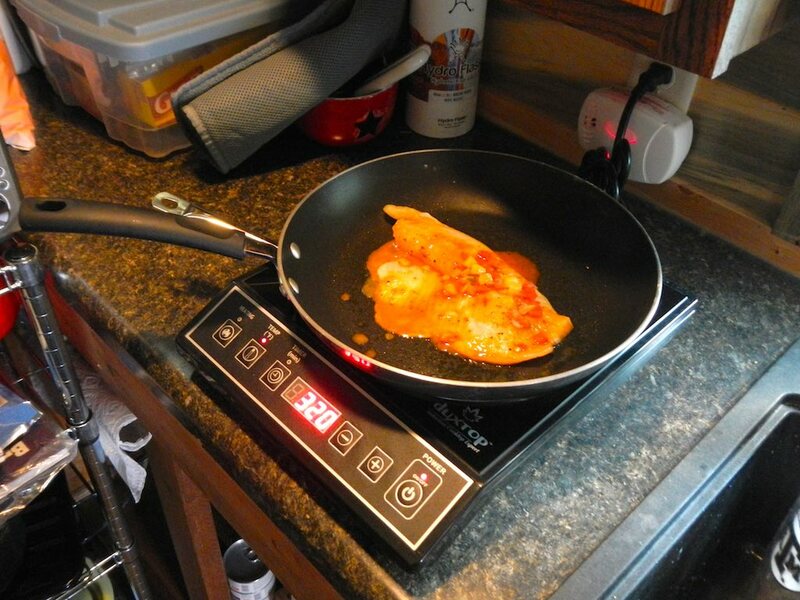 I understand from your blog that you live in an RV park. My husband and I are looking for something with more land since we have two dogs who have been stuck in an on-base apartment log enough. Does College Station have an option to rent land? The only land I have found are inside established communities with certain HOA codes that our tiny home will not meet. Any advice and references are greatly appreciated! Hi Stephani! I’m hoping to go to A&M next year and am having a hard time figuring out where the best place to keep it is. Did you find someone’s land to rent or did you keep it at an RV park? Any information would be really appreciated! 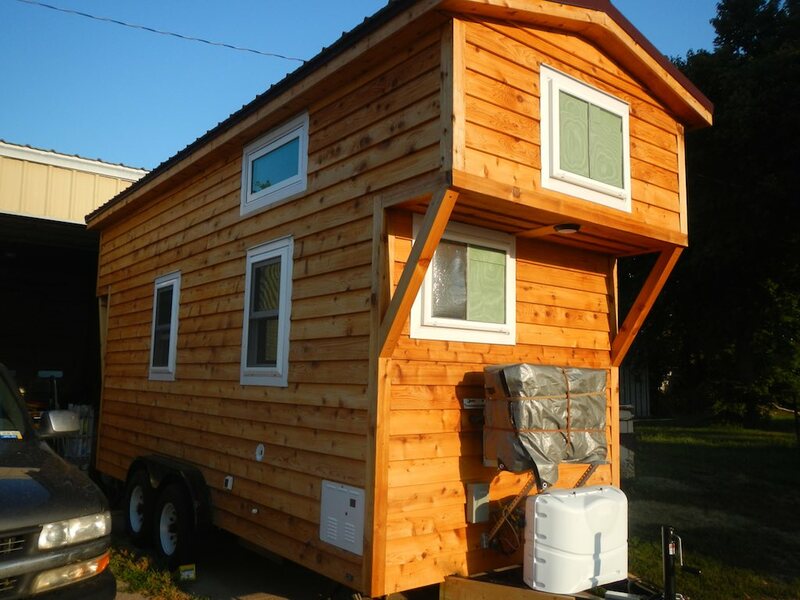 I am wondering about any building codes that you observed during the building of your tiny home. It seems that building codes vary from community to community. Any information you can give on Bryan/College Station would be helpful.